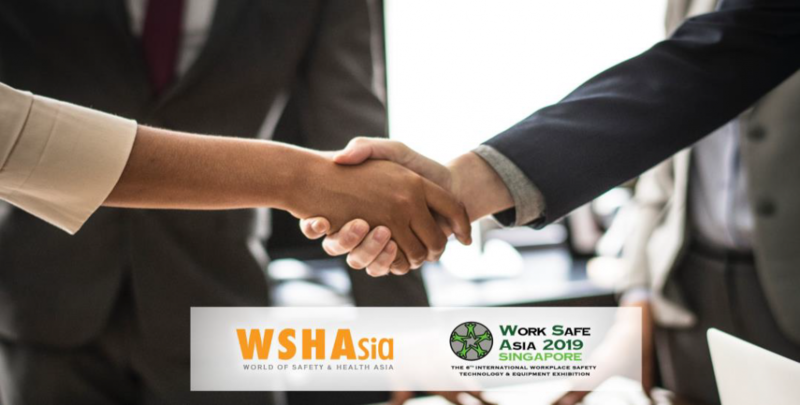 SINGAPORE, 23 January, 2019 – World Safety & Health Asia (WSHAsia) announced its strategic partnership with Work Safe Asia 2019 to facilitate the exhibitors of Work Safe Asia 2019 and the sponsors of WSHAsia to embark on both online and offline presence for the price of one or at a single price point. The e-presence is made possible through the 24/7 online platform by WSHAsia and the offline platform, Work Safe Asia 2019 is a 3-day exhibition to be held from 1 to 3 October 2019 at Halls B and C of Marina Bay Sands. 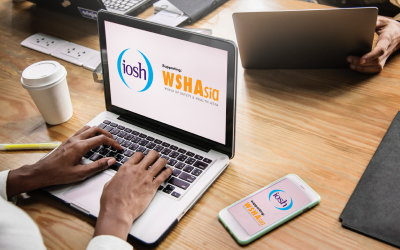 WSHAsia provides a complimentary online platform for the purpose of sharing safety and health solutions in Asia. Its sponsors support the platform by way of featured products, featured courses and banner advertisement sponsorships. Work Safe Asia 2019 harnesses the talent and expertise of the industry to offer the tools for creating an optimal safe workplace by way of a showcase of the latest developments in relevant technologies and equipment. Participants are thus able to leverage on this excellent sharing platform for WSH professionals to further their knowledge and build positive business relationships. • a 9 sqm panel booth at Work Safe Asia 2019 from 1 to 3 October 2019 at Marina Bay Sands, Halls B & C.
• a 24/7 international market coverage on WSHAsia’s online platform. “This partnership is very exciting for the industry. It combines both online and offline presence. Vendors may now not only present their products and services during the exhibition, but are also able to showcase their products and services 24/7 on WSHAsia’s online marketplace, internationally! This is first of its kind collaboration. We look forward to provide great safety & health solution to both online & offline safety & health communities,” said Mr Raymond Wat, Founder, WSHAsia. World of Safety & health Asia is founded for the purpose of gathering safety and health information for the benefit of every individual. It is a shame that products and services that solve safety and health problems are only available in some countries but not all. This is the reason why WSHAsia was founded. To provide a FREE platform for all safety and health manufacturers to showcase their products, services, events and courses at NO COST. This will enable every individual around the world, to easily access safety and health solutions available all around the world and therefore be able to access to it and be safe. For more information about WSHAsia, please contact Raymond Wat, Founder at raymond.wat@wshasia.com. Workplace safety is vital to the success of any organisation. The implementation of workplace safety practices and the usage of approved safety equipment will be essential to the successful delivery of strategic and operational objectives, as well as boost overall organisational performance. Work Safe Asia will bring together the talent and expertise to give its participants and visitors the tools for creating the optimal and safest workplace. Through a showcase of the latest developments in relevant technologies and equipment, WSH professionals are able to leverage on this excellent sharing platform to further their knowledge and build positive business relationships. Singapore, Thailand, Malaysia, Myanmar and the Philippines, China in North Asia, and India, Sri Lanka, Bangladesh and Pakistan in the South Asia. In October 1997, CEMS achieved the distinction of being the first professional conference and exhibition organiser in Singapore to obtain the ISO 9002 certification. For the past decade, CEMS has formed strategic partnerships with both local and international players to achieve mutually desirable goals in the MICE industry.